With springtime comes the buds and blossoms on trees and flowers. Unfortunately, they are not the only foliage that begins to make an appearance. 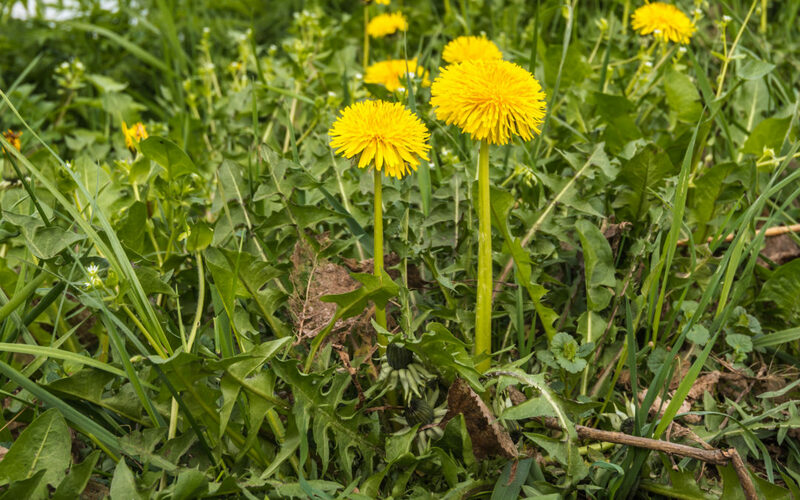 Weeds, weeds and more weeds once again take up residence in lawns and gardens everywhere. Of course, if you have a lawn service that attends to your yard regularly, you needn’t worry too much about these pesky growers. On the other hand, for those of us who go it alone in the battle against weeds, we know it can be quite the challenge. As you kill one off, another pops up to spite your persistence. It is common, that in our frustration, we seek out remedies for weeds. However, we often make the job easier by turning to and relying on commercial chemicals. Albeit, these products tend to be very effective; but they do so at the risk of harming our beloved plants, four-legged friends, one’s family, and the environment. So, in the pursuit of ridding our yards of these unwanted plants, put away the hand rake, gardening trowel, and hoe, because we found a few creative ‘homemade’ solutions that are worth giving a try. Boiling water: Boil a pot of water or use leftover boiled water from cooking and pour directly onto weeds. Be careful not to splatter any on yourself or plants you wish to keep. The weeds will die off immediately. This method is best suited for weeds in sidewalks or cement cracks. Salt: According to experts, salt is aggressive and will prevent any growth in the area where the salt is applied. With that in mind, be sure to spread it around in only places that you will not be growing plants. Any salt will work, including rock and iodized. Vinegar: Spraying or pouring white vinegar on weeds will have them dead in a few hours. As with the other methods, be careful not to spray your favorite plants, or they too will fall victim. Many gardeners choose to combine salt and vinegar, creating a reliable herbicide. Coco-Cola: This favorite drink is known for its multi-uses. If it can clean a toilet, unclog a drain and remove corrosion from a car battery, it surely makes an effective weed killer. Either pour or spray onto weeds and they will die off quickly. When using any of these methods, be sure to apply when there is no rain in the forecast (at least a few days), as it will wash the herbicide away. By no means are these ‘homemade’ solutions the only methods people have tried. One search of the internet and you will notice just about every conceivable manner has been attempted including burning weeds with a flamethrower, spraying them with vodka or soap and applying vegetable oil at their bases. Let us not forget the trusted smothering technique implemented with cardboard, newspaper, junk mail, and plastic sheeting. One might say, with the war barely won against weeds; we might as well call a truce, then pull ’em and eat ’em.